Grammy-nominated songwriter and former Waitress star Sara Bareilles will rejoin the cast of the Broadway musical on January 16, 2018 in the role of Jenna. Bareilles will play a six-week limited engagement in the musical at the Brooks Atkinson Theatre through February 25. As previously announced, current star Betsy Wolfe will play her final performance on January 9. In additional news, Grammy winner Jason Mraz has extended his run in the musical through January 28. 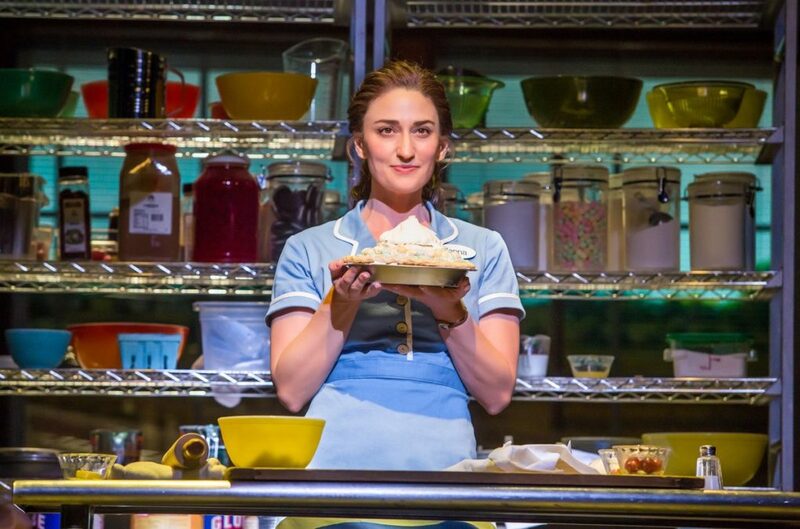 "It is beyond exciting to return to the Brooks Atkinson and to my Waitress family there and reprise my time as Jenna," Bareilles told Broadway.com in an exclusive statement. "This show is by far the most fulfilling creative endeavor I have ever experienced, and before I turn my full attention to recording and releasing my next record, I wanted to join my dear friend Jason Mraz and the rest of our incredible cast onstage for a spell to live in that beloved diner once again for a little while. I guess I need another dose of comfort food. :)"
Bareilles returns to the role of Jenna having played an engagement in the role from March 31 through June 11. The singer-songwriter earned a Tony nomination for her score of Waitress, which features a book by Jessie Nelson. Bareilles joins a cast that also includes Caitlin Houlahan as Dawn, NaTasha Yvette Williams as Becky, John Cullum as Joe, Eric Anderson as Cal, Will Swenson as Earl and Christopher Fitzgerald as Ogie. Directed by Diane Paulus, Waitress began previews on March 25, 2016 and opened on April 24.